The entrancingly beautiful folk-pop that Karen and Don Peris have been releasing for the past three decades under the name The Innocence Mission is a monument to a simpler way. After three Sundays-ish albums for the major label A&M in the late ‘80s and early ‘90s, the duo, along with their bassist, Mike Bitts, slipped into the indie scene and into a quieter, less radio-friendly sound starting with 1999’s Birds of My Neighborhood. And that’s where they’ve stayed ever since, more or less. 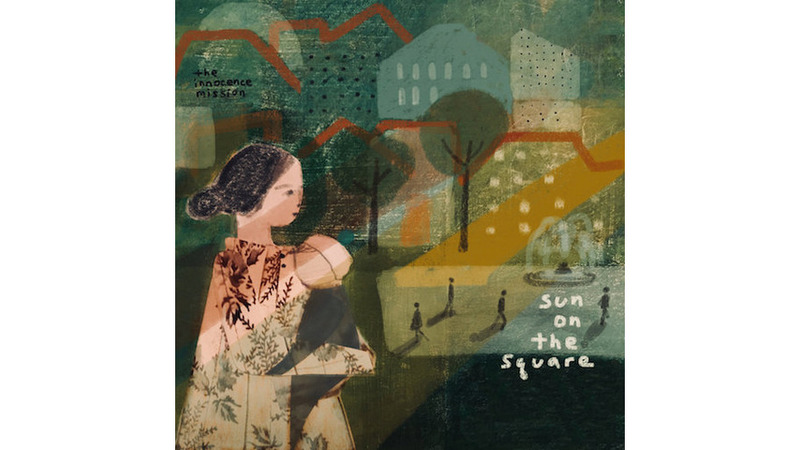 Sun on the Square is The Innocence Mission’s 11th album, the latest of many released by Portland-based Badman Recording Co. As usual, Karen Peris’ artwork adorns the cover. Bitts is still on board playing upright bass. The Perises recorded and mixed the album in their home town of Lancaster, Penn. Their children Anna and Drew play viola and violin, respectively, on a handful of tracks. Later, “Look Out From Your Window” begins sparsely and then blooms into a highlight at its first chorus, just as the arrangement expands to include viola, bass, drums and backing vocals. Accordion colors “Shadow of the Pines,” Don Peris’ lead vocal is a pleasant surprise in “Star of Land and Sea,” a melancholy melodica shadows in the corners of “Buildings in Flower” and stringed instruments comprise a couple of well-timed interludes in the title track that give the song depth and texture. Where will we be, before the next season? Of evenings and days we can hardly say. From which will we flower? Brightly from the buildings now. Those questions give Sun on the Square an engaging and poetic vibe that only enhances its sonic aesthetic. All told, the album feels like a hand-crafted work of art, put together carefully by its creators, charmingly imperfect but much preferred over a mass-produced piece with no stitch out of place, and no soul to match. Credit Karen and Don Peris, who’ve spun gold out of simplicity for so many years.